By Zharmer Hardimon . Published on July 18, 2016. A crowd revels in the moment during a concert at the Mercedes-Benz Superdome in New Orleans. This past Fourth of July weekend, an estimated 450,000 people blanketed New Orleans' French Quarter, filling hotels and packing restaurants. They came from all over—Florida, Delaware, Texas, Georgia, New York. Busloads of women, ages 20s to 80s, made the trip. Men arrived in search of a partner. Women sought to bond with their girlfriends. Families made it a vacation. 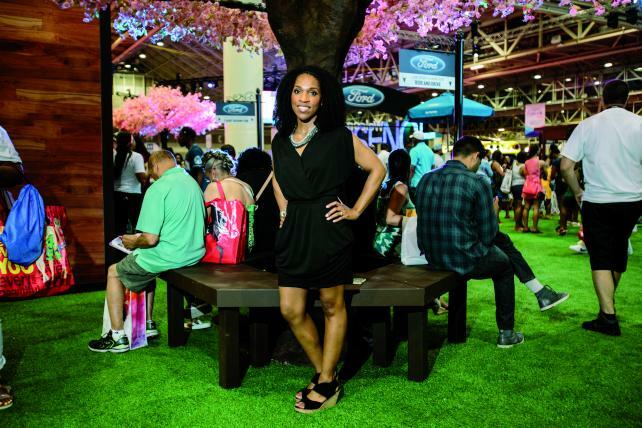 In its 22nd year, the Essence Festival has surpassed anything its creators ever imagined. The story assignment from my editor seemed simple enough: "I want to know what it's like to be there." Soon after landing in New Orleans, I knew I had my work cut out for me. Conveying the magnitude of the Essence Festival would not be easy. Hosted by the Time Inc. magazine brand and presented by longtime sponsor Coca-Cola, the annual three-day cultural celebration is one of the largest live events of the year. Arriving shortly after doors opened July 1 at 10 a.m. at the massive Ernest N. Morial Convention Center, home to the festival's brand-friendly daytime events, photographer Will Widmer and I weren't quite sure where to start, or if words and pictures could even do it justice. "This is pretty overwhelming," Mr. Widmer said. "Indeed, it is," I replied, wide-eyed with notepad and iPhone-turned-recorder in hand. The weight of it all made me want to return to my editor in New York with a five-word report: "You had to be there." "No other magazine was focusing on the beauty and intelligence of the black woman," Mr. Lewis told me. "The idea was conceived around the time when Dr. King was killed; when Robert Kennedy was killed; during the Olympics of 1968. There was a desire to get young blacks into the media business. It was about creating our own destiny in regards to the press. It allowed us to present the stories, pictures and aspirations that we wanted to present," he said. Twenty-four years later, as the magazine was approaching its silver anniversary, Mr. Lewis wanted to mark the milestone in a big way, but he wasn't sure how. Cue jazz impresario George Wein, creator of the Newport Jazz Festival and the New Orleans Jazz & Heritage Festival. "My old friend George Wein and I were having drinks in 1994. I was telling him maybe I'd have a party in New York to celebrate the 25th anniversary of Essence, and George said, 'Have you ever thought of having a party in New Orleans during Fourth of July weekend?'" Mr. Lewis recalled. "I brought the idea to some key people at the company and they were lukewarm to it, but ultimately I made the decision to go ahead with it. We billed it as a 'party with a purpose.' There was music entertainment at night and food for thought with well-known speakers during the day. And here we are 22 years later." He credited word of mouth, consumer support and the charm of the Big Easy for the festival's growth. "The synergy of music and New Orleans is such a draw. Credibility is what we've established with our audience. It brings quite a joy to see how it's evolved," he said. "People want to be here." I learned over the weekend that marketers do too. As Mr. Lewis envisioned, it was the nighttime concerts that initially attracted audiences. Originally titled the Essence Music Festival, the event in 2013 dropped "Music" from its name to reflect its expanded cultural focus. In recent years, the festival has seen attendance at its free daytime programming outpace its popular ticketed evening music series, where this year Puff Daddy, Kendrick Lamar and Mariah Carey headlined at the Mercedes-Benz Superdome. Featuring more than 100 speakers and participants, the daytime programming by Essence editors on topics such as self-empowerment, building wealth and beauty trends resonates with audiences. But one could argue it's the marketer presence that's been reeling in crowds. Joining presenting partner Coca-Cola were major sponsors Ford, McDonald's, State Farm, Verizon and Walmart. Each vied for consumers' attention with loud, alluring activations in the convention center designed to engage attendees and stimulate brand loyalty, oftentimes with celebrity assistance. On Saturday, July 2, I hit the convention center several minutes before 11 a.m. Attendance was already nearing elbow-to-elbow measures. Nudging my way through crowds, I marveled at how doors had barely been open an hour yet there were multiple celebrity appearances happening simultaneously almost within earshot of each other. McDonald's was hosting a chat with singer Andra Day, whose image appears on 40 million McDonald's cups as an extension of Coke's "Share a Coke and a Song" campaign. An interview with Sherri Shepherd stopped traffic at the Essence convention center stage. 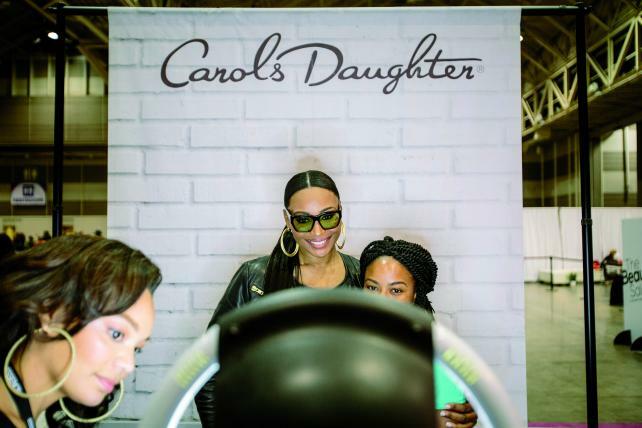 And at the Walmart activation, actresses Tisha Campbell-Martin and Tasha Smith dished on sisterhood to an engrossed audience. Later in the day, State Farm's meet-and-greet moments with actors Morris Chestnut and Anthony Anderson sent fans into a frenzy. Over at Coca-Cola, camera phones at the ready, festivalgoers darted to the beverage giant's booth after word spread of a surprise performance by brand ambassador Tyrese. "It's about bringing the experience to everyone. We're helping people fall in love with the brand over and over again," said Zakia Holland, senior brand manager, Coca-Cola North America. 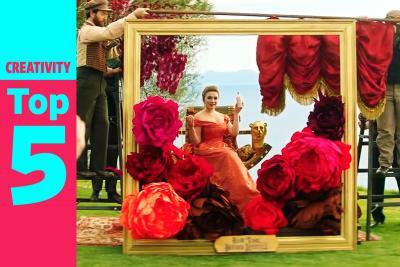 Aside from star-studded attractions, marketers sought to stand out via their booths. The brand activations were mini productions, equipped with green rooms, sound operators and the requisite DJ blasting old-school tunes and hip-hop party-starters. 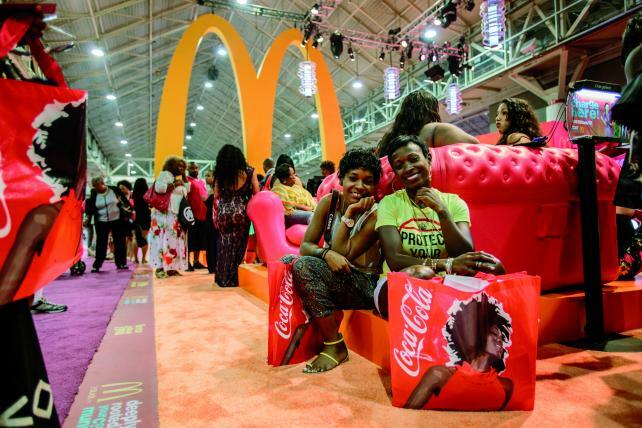 Coke enlisted "Real Housewives of Atlanta" star Kandi Burruss and radio personality Big Tigger to host its activation. Responsible for hyping crowds, the duo charmed attendees with concert ticket giveaways, silly banter and lively call-and-response: "When I say Coca, you say Cola!" Backing the activation was a huge white wall illustrated with a fashionable woman of color gripping a Coke bottle and the words "Coca-Cola" sprawled across it. The billboard was the backdrop for countless selfie sessions. Branded bags were also go-to marketing tools for the big sponsors. Folks waited for 30 minutes or more to get one. McDonald's bags seemed to draw the longest lines. Every year the fast feeder highlights its Essence Ladies artwork of stylish girlfriends. The company's "Deeply rooted in the community" slogan was featured prominently, as was its theme for the weekend: "Everyday Beautiful, Everyday You." "The African-American woman is important to us as a consumer and as an influencer in our community," said McDonald's U.S. Marketing Director William Rhodes. "This is our way that we pay homage to her, especially through our Essence bags. As women evolve, our Essence Ladies evolve also. They're a complex, beautiful, intelligent species, and we feel it's a great opportunity to honor them." Sensory overload best describes the Golden Arches' orange-colored activation. The marketer employed everything from a temporary tattoo station to lip-synching contests. At one awkward point during the weekend, Ronald himself could be seen on the McDonald's stage reveling in the fun. Notably absent from McDonald's menu of offerings was food. The restaurant chain has been criticized over the years for its ubiquitous presence in black neighborhoods, where some communities battle high rates of obesity, diabetes and high-blood pressure. When asked how he responds to critics who take issue with the "Deeply rooted in the community" slogan, Mr. Rhodes said the tagline refers to service, not burgers and fries. "When we're saying we're 'deeply rooted,' we're saying we're in [consumers'] everyday lives, whether we're providing employment, whether we're supporting youth football, youth baseball or any type of youth program or social program that's in the community," said Mr. Rhodes. 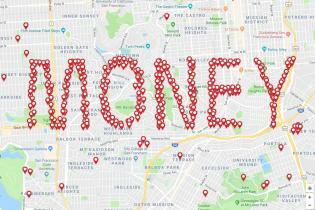 "Outside of that restaurant, those local owner-operators are entrepreneurs who do things in the community, whether they're providing scholarships or other educational opportunities, or just helping in community organizations." Walmart's activation succeeded in its attempt to look like one of its stores with electronics displays, retail signage and customer service reps on hand to boost sign-ups for its Walmart Pay app. But Ford pulled off what was likely the festival's most engaging brand experience. Playing off its "Ford Fam" campaign, the automaker lured attendees with a family reunion-themed activation, complete with turf, jump-roping, a demo of the 2017 Ford GT and a chance to win a 2017 Ford Fusion. The winner was announced Sunday night at the Superdome during what the festival calls "Mainstage Moments," an opportunity for marketers to tout their branding and service messages during nighttime talent intermissions. "One of the things that we drive toward for our business for African-Americans is really focusing on our women. Not only are they important for the community, but they're important for so many reasons. We have an opportunity here to speak to these women. We can learn from them," said Raj Register, manager, multicultural communications at Ford. "We've learned from our data that African-American women are the key decision makers for a lot of different things, so it's important that we understand what's important to her, and that we speak to her and the community in an authentic way." As for its booth, eight-year sponsor Ford, like most of the marketers, worked with an activation agency, multicultural shop UWG. "UWG facilitates over the entire activation from booth theme to giveaways. We partner with our client to create a 360-degree experience for attendees that begins pre, during and post the actual event," said Lynn R. Wilson, UWG director of operations-events and sponsorship. UWG also represents Colgate, which has been activating at the festival for the past three years. 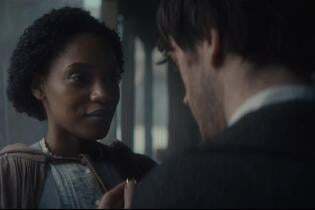 The brand was also looking to target African-American women with its Colgate Total and Colgate Optic White lines. While brand messaging was key, marketers were quick to note that the purpose of their festival presence was more about connecting with attendees than selling. "Essence represents community and that's what State Farm represents as well," said Tracie Haywood, sponsorship analyst-enterprise marketing at State Farm. "We feel it's important that we continue to be connected, not only with the community, but what the Essence Festival allows us to do is connect with the African-American woman. If you look at the State Farm booth, you'll see it's really about the expression of the black woman and just giving accolades and supporting her colorfulness within her life and what she does—the vividness, the vibrancy of her. One of our slogans this weekend, 'Live vibrantly,' is a call to action: Don't be afraid to step out, be you, be proud and be vibrant," she said. Verizon took the opportunity to bring students from its Verizon Innovative Learning program to the festival for a unique educational experience. Targeting young minority males, the program stresses the importance of STEM and aims to inspire the next generation of creators. "We're targeting middle-school young boys to try to give them a hands-on level of experience with tech to help them think differently and really inspire them to go places they might not otherwise think to go," said Krista Bourne, president-south central market at Verizon. "Outside of the foundation work that we do, [the Essence Festival] is probably one of our next best things that we do because we get to come out and be one with the community," Ms. Bourne added. McDonald's honored change-makers at its 13th annual 365Black Awards in what has become a staple at the festival. Earning kudos this year, among others, were Toni Braxton, a spokesperson for Autism Speaks and a leader in the fight against lupus; former NFL player and philanthropist Charles Tillman, whose Chicago-based foundation has helped more than 1 million children; and Lonnie Bunch, founding director of the Smithsonian's National Museum of African American History and Culture. The awards are an extension of McDonald's 365Black platform, which celebrates the pride, heritage and achievements of African-Americans year-round. In conjunction with its Walmart Pay push, Walmart, in its ninth year as a sponsor, incorporated a service campaign, "Walmart Pay It Forward." "This year, we're also giving back to nonprofit local organizations for all that they're doing. It's our way of saying thank you for being loyal customers and thank you for serving your community," said Regine Moore, senior manager-multicultural media at Walmart. Essence itself hosted a day of service at New Orleans' Cohen College Prep school. A team of over 500 volunteers and 20 community nonprofits joined to renovate the school's facilities and offer mentoring services to students. Essence initiated the effort in 2015 as a community give-back to commemorate 10 years since Hurricane Katrina. The day of service is indicative of the festival's impact on New Orleans. Each year, along with helping to bring in an estimated $350 million to the Louisiana economy, Essence makes a service commitment to the city, said Scott Hutcheson, special adviser to New Orleans Mayor Mitch Landrieu. "More than any event in the city, Essence has engaged the community. New Orleans is home to Essence; they are family," Mr. Hutcheson added. This year's festival marked the first year of a three-year contract extension with the host city. Essence and Time Inc. declined to give revenue numbers associated with the festival. New Orleans also remains grateful that Essence chose to come back after the devastation of Katrina in 2005. The event was held in Houston in 2006, but returned to the Big Easy in 2007. "They could have gone anywhere," said Toni Rice, president of the New Orleans Multicultural Tourism Network. "Not only did they come back, bringing money and clients, they participated in cleaning up playgrounds and service projects. They brought their love. It's a positive footprint that lives on summer after summer." 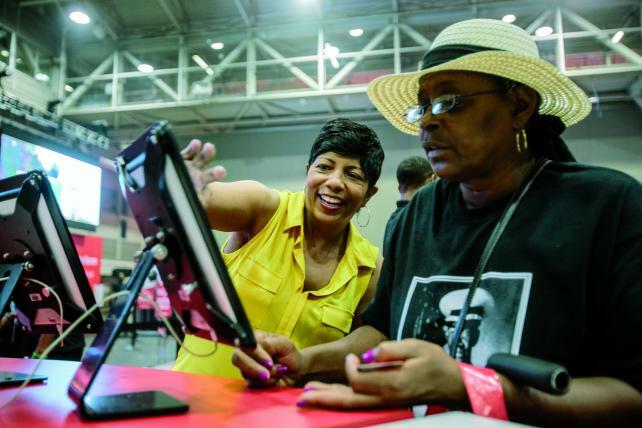 The Essence Festival, like other events that have spun out from its success, has only become more important as Essence's original print product is buffeted by the forces facing everyone else in the magazine world. In 2000, the company sold a minority interest to Time Inc. Five years later, Time Inc. acquired the remaining 51%. 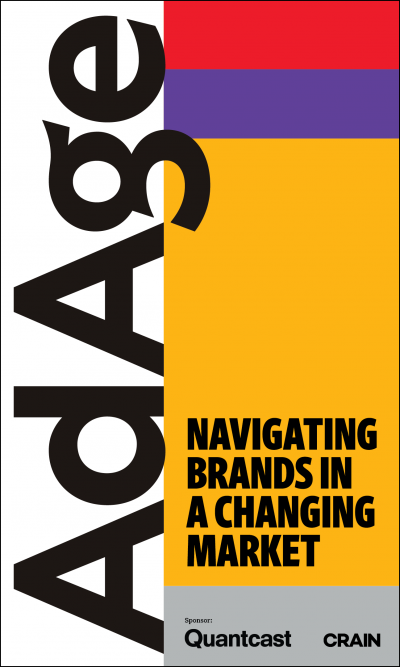 Essence counted 913 ad pages in 2014 and saw a dip of 13% to 791 ad pages in 2015, according to Kantar Media. It averaged paid and verified circulation of just over 1 million copies during 2015, roughly even with its level in 2005, according to the Alliance for Audited Media. Essence.com notched 3.6 million unique visitors in May, up 76% year-over-year from 2.1 million, according to ComScore, whose data represents U.S.-only, unduplicated desktop and mobile figures. The 2016 festival scored 3.5 billion social impressions, a 133% year-over-year increase, according to the magazine, and 115,000 social posts, up 15% over last year, while its festival mobile app hit 15,000 downloads, a year-over-year uptick of 10%. This year saw a number of firsts for the festival: An expansion of daytime programming with two new expos themed "Beauty & Style" and "Money & Power" sponsored by Prudential, Walmart and Carol's Daughter, among others. Mariah Carey ran through hits in her first-ever performance on the Superdome Mainstage. 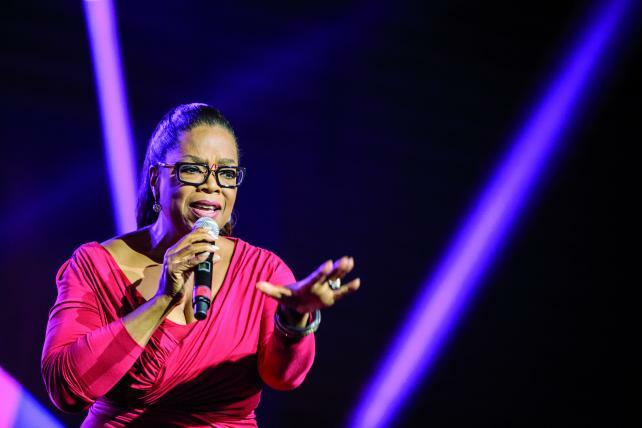 And perhaps emphasizing the significance of the weekend, Oprah Winfrey packed the convention center auditorium with her last-minute, inaugural appearance. The media mogul spoke for an hour on the importance of self-worth. Afterward, she invited director Ava DuVernay and the cast of OWN's upcoming drama "Queen Sugar" onstage before previewing a clip of the show. "We all know her as a TV icon, but I believe our audience got to connect with her in a way that was more personal and emotionally moving than any of us have felt before," said Essence Editor-in-Chief Vanessa De Luca. "Her message to believe in ourselves and each other was just the inspiration we needed, especially at this turbulent time in our country." If that wasn't enough, a movie based on a girlfriends' vacation to Essence Fest was being filmed on site. Queen Latifah and Jada Pinkett Smith were spotted at various points filming scenes during the weekend. 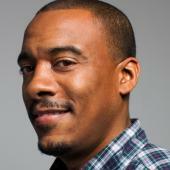 "Girls Trip" is produced by Will Packer ("Straight Outta Compton"), who met his wife at the Essence Festival in 2009, and directed by Malcolm Lee ("Barbershop: The Next Cut"). It's slated for a July 2017 theatrical release. How do you top that? For now, planning for 2017 will take somewhat of a backseat as the company focuses on taking its flagship event global. Essence Festival Durban makes its debut in South Africa this November. Durban joins a growing list of events that expands Essence's brand reach beyond its readership (see sidebar, below). "The key to growth is to continue to innovate and integrate," said Essence President Michelle Ebanks. "We program and engage around multiple platforms. I like to say if we were competing in the Olympics, we'd be in the decathlon." 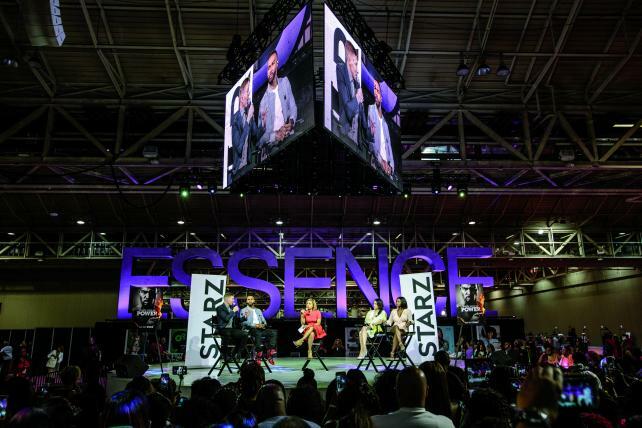 Proving itself a pioneer in attracting revenue and exposure outside its traditional readership with the 22-year-old Essence Festival, the Time Inc. brand continues to boost its events profile. Here is a look at other tentpole events the title has attached its name to. Introduced in 2008, the annual luncheon celebrating women of color in the film and TV industry takes place around the Oscars. Lincoln is a major sponsor. Other sponsors are L'Oréal Paris, Geico, Colgate Optic White and AT&T. Past honorees include Ava DuVernay, Oprah Winfrey, Lupita Nyong'o and Cheryl Boone Isaacs. First held in 2010, the show is timed to the Grammys and honors music heavies. Major sponsors include Lincoln and Strength of Nature. Mary J. Blige, Jill Scott, Brandy, Chaka Khan and Sylvia Rhone are past honorees. Kicking off New York Fashion Week under the Brooklyn Bridge in Dumbo, the event charts its third year this September. Past sponsors include Chevrolet, Home Depot and Shea Moisture. Ciara, Gabrielle Union and June Ambrose count as past honorees.